Magnificent Chang An Avenue or courtyard views welcome you to a spacious luxury suite with a separate living and bedroom. The suites boast interiors based on rich yet warm earth tones to set a restful and welcoming ambiance. This is a premium suite. See World of Hyatt program terms for upgrade eligibility. Magnificent Chang An Avenue or courtyard views welcome you to a spacious luxury suite with a separate living and bedroom. The suites boast interiors based on rich yet warm earth tones to set a restful and welcoming ambiance. This is a standard suite. See World of Hyatt program terms for upgrade eligibility. These suites reflect calmness through the use of colour and natural materials. The spacious living and dining room has a separate study area, together with a kitchenette and master bedroom. The room provides a cozy sanctuary for those who enjoy a homely environment while away on business. This is a premium suite. See World of Hyatt program terms for upgrade eligibility. 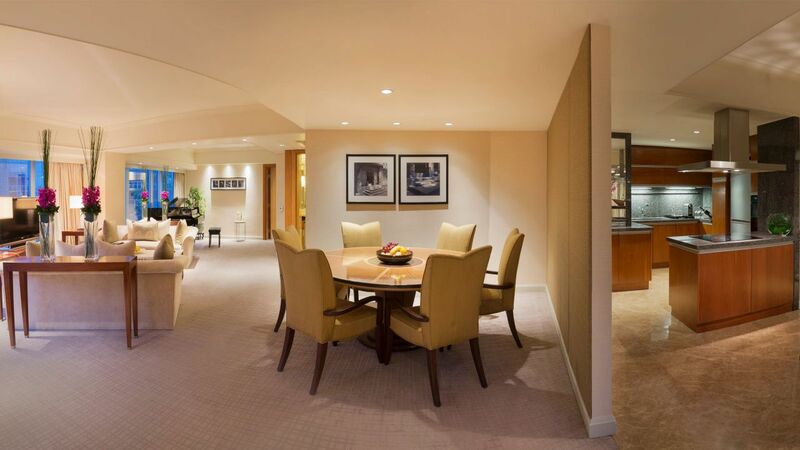 Entertain lavishly in this apartment-style suite including a private Butler on 24-hour stand-by, pressing service, mini-bar, wired and wireless Internet connectivity, and Grand Club amenities as breakfast, cocktails and boardroom access. Meticulously designed interiors complement a plush king bedroom, living and dining areas, a kitchen, and a private spa room. This is a premium suite. See World of Hyatt program terms for upgrade eligibility. 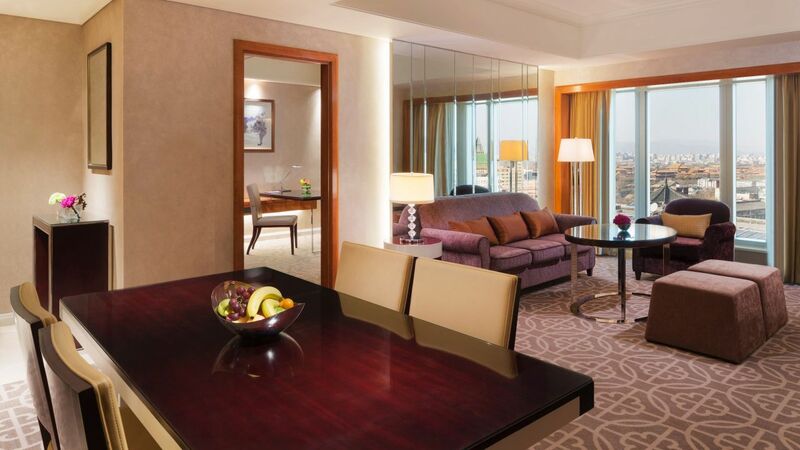 Diplomat suites yield one of the most impressive sceneries in Beijing. Be prepared to be wowed by the breathtaking, panoramic views of the Chinese courtyards and green rooftops. 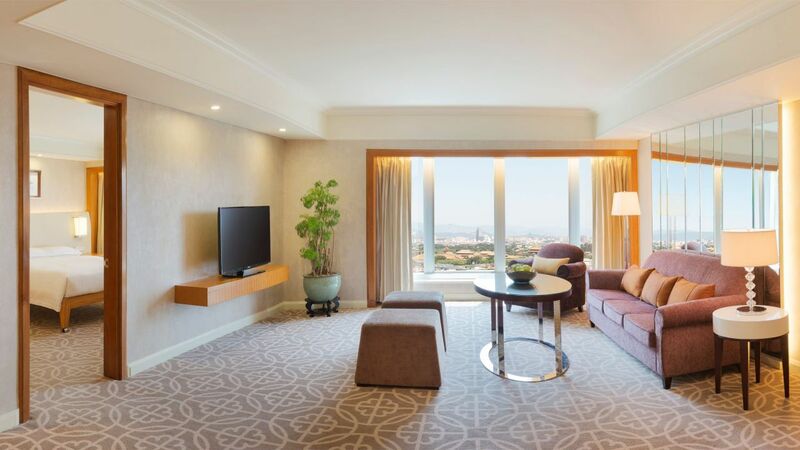 Located on the top floors of the hotel, these suites represent Chinese contemporary living and modern comfort, with a spacious residential-style living room, bedroom and bar area, as well as a study area with a large work desk. The en-suite bedroom is a personal sanctuary, with a comfortable bed and a lavish bathroom, as well as a walk-in closet, sunken bathtub and separate rainforest shower. This is a premium suite. See World of Hyatt program terms for upgrade eligibility. 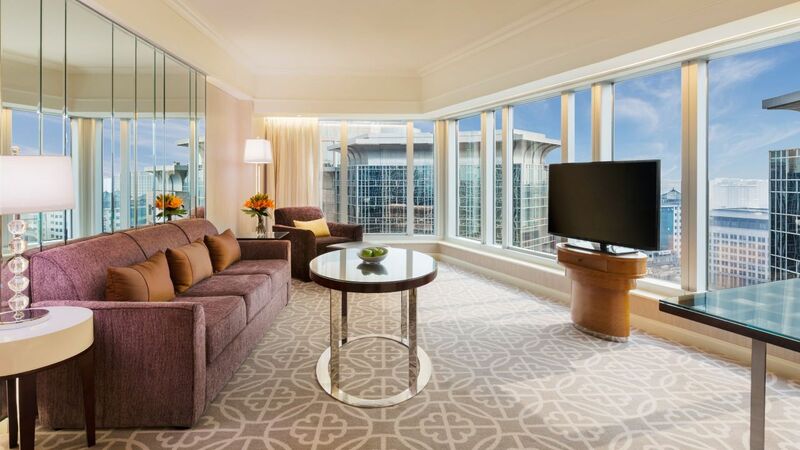 Exceptional in charm, these duplex suites on the hotel’s 17th and 18th floors showcase a grand foyer that leads into a spacious living room with an atrium expanding to the next floor. 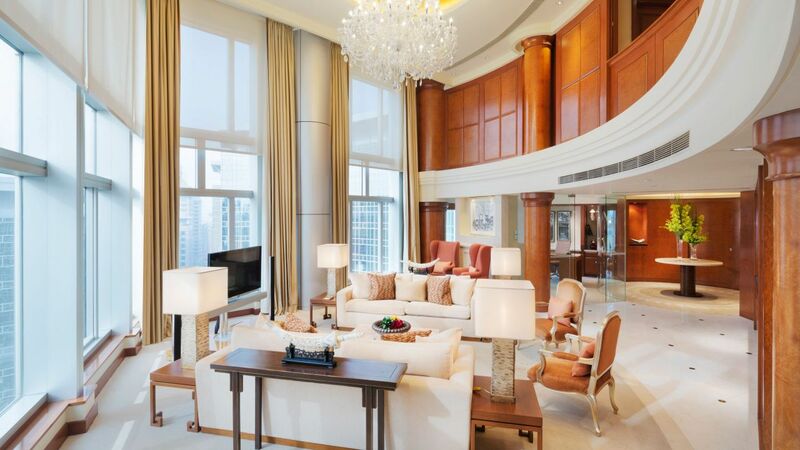 The living room offers magnificent views of Chang An Avenue. A modern kitchen adjoins an intimate dining room that can seat up to eight guests. A fully equipped private oﬃce is located conveniently on the first floor. The master bedroom has a separate dressing room, a vanity room and a luxurious bathroom equipped with whirlpool bath, sauna and satellite TV. This is a premium suite. See World of Hyatt program terms for upgrade eligibility. The spacious two-bedroom layout offers a separate living area, providing all the comfort that a seasoned traveler demands.. The spacious two-bedroom layout offers a separate living area, providing all the comfort that a seasoned traveler demands. 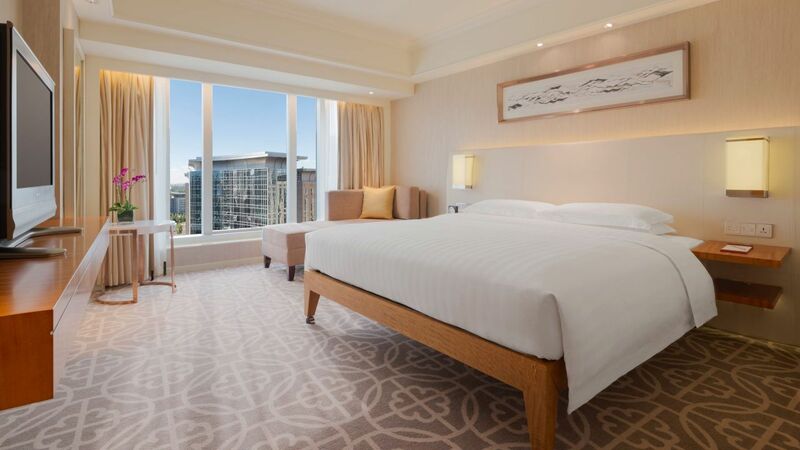 Luxurious 62 sqm premier room showcasing a separate living room and bedroom overlooking magnificent Chang'an Avenue or traditional Chinese architecture. This is a premium room. See World of Hyatt program terms for upgrade eligibility. Inspired by today’s lifestyle, each room has an aesthetically uplifting functional design, updated with technology-savvy conveniences including extended desk fitted with USB charging outlets. 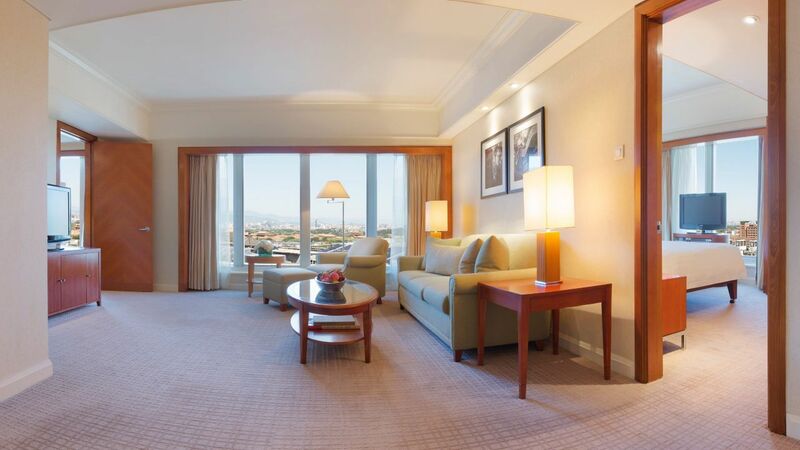 Stunning Chang An Avenue or courtyard views complement deluxe amenities in each Grand Room. 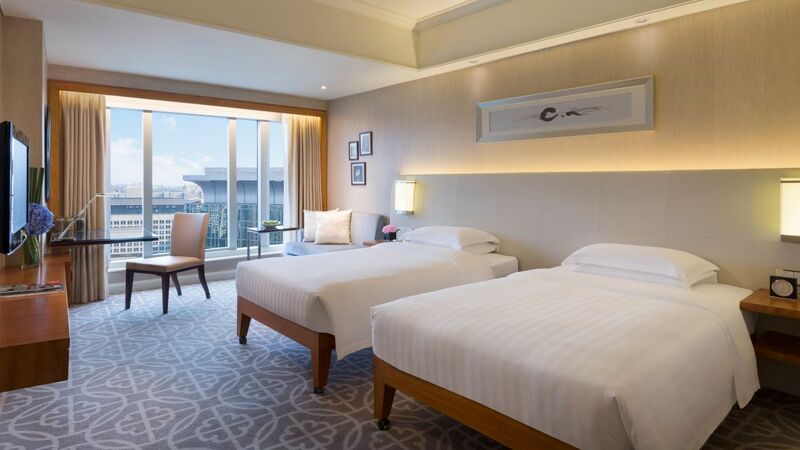 1 King City View offers stunning views of stunning Chang An Avenue views, providing a personal sanctuary where you can wrap yourself in luxury. Each room has an aesthetically uplifting functional design and updated with technology-savvy conveniences. With a comfortable one king size bed in an open-ended layout with 31 sqm of space, 1 King City View boasts interiors based on rich yet warm earth tones to set a restful and welcoming ambiance. Inspired by today’s lifestyle, each room has an aesthetically uplifting functional design, updated with technology - savvy conveniences including extended desk fitted with USB charging outlets. 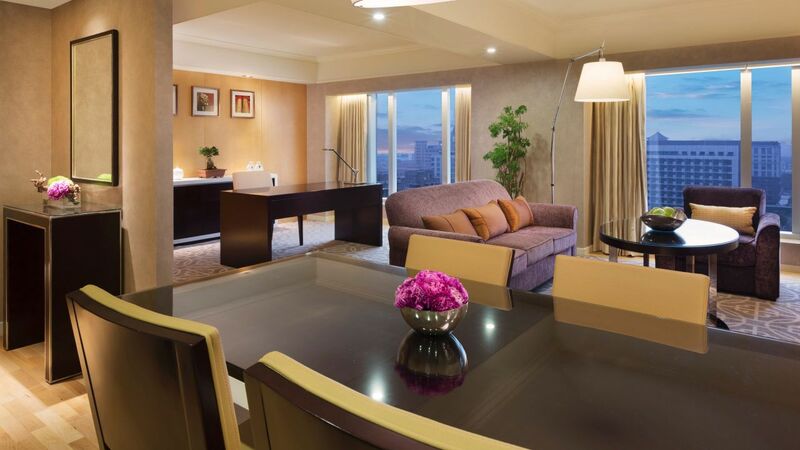 Stunning Chang An Avenue or courtyard views complement deluxe amenities in each Club Room. 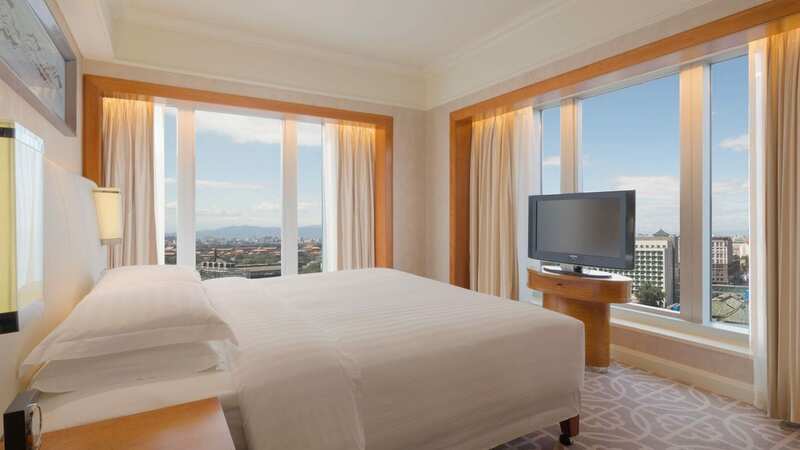 Grand Premium Room is thoughtfully designed as an all-in-one living room, the plush king bedroom is complemented with contemporary bespoke furnishings and lavish marble bathroom. An office desk also makes this space ideal for business, relaxation lounge, walk-in wardrobe, workstation with USB charging outlets, completing a low profile luxurious and comfortable atmosphere for business travelers. The marked flexible space utilities offer worldwide business elites a premium living experience. 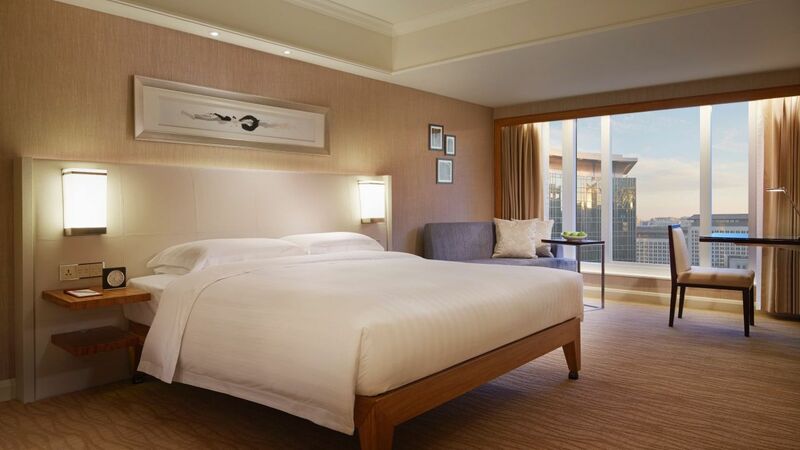 A contemporary room, the Club Deluxe Room blends modern lifestyle with functional conveniences. It is thoughtfully designed as a living room, working room and bedroom, all in one. A relaxation lounge, walk-in wardrobe, work station with USB charging outlets.